New York: For months, New York City officials have been fighting a measles outbreak in ultra-Orthodox Jewish communities in Brooklyn, knowing that the solution — the measles vaccine — was not reaching its target audience. They tried education and outreach, working with rabbis and distributing thousands of flyers to encourage parents to vaccinate their children. They also tried harsher measures, like a ban on unvaccinated students from going to school. The measure follows a spike in measles infections in New York City, where there have been 285 confirmed cases since the outbreak began in the fall; 21 of those cases led to hospitalisations, including five admissions to the intensive care unit. 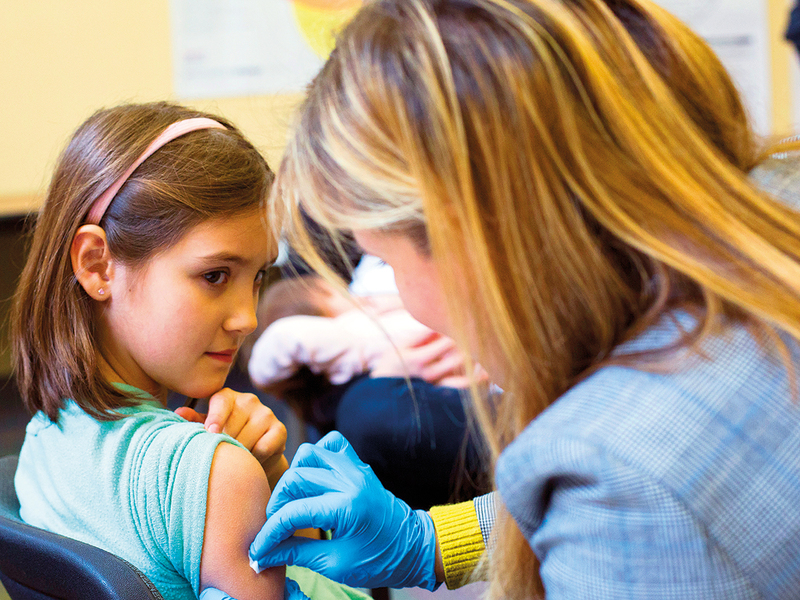 City officials conceded that the earlier order in December, which banned unvaccinated students from attending schools in certain sections of Brooklyn, was not effective. De Blasio said Tuesday that the city would fine or even temporarily shut down yeshivas that did not abide by the measure. “There has been some real progress in addressing the issue, but it’s just not working fast enough, and it was time to take a more muscular approach,” de Blasio said. 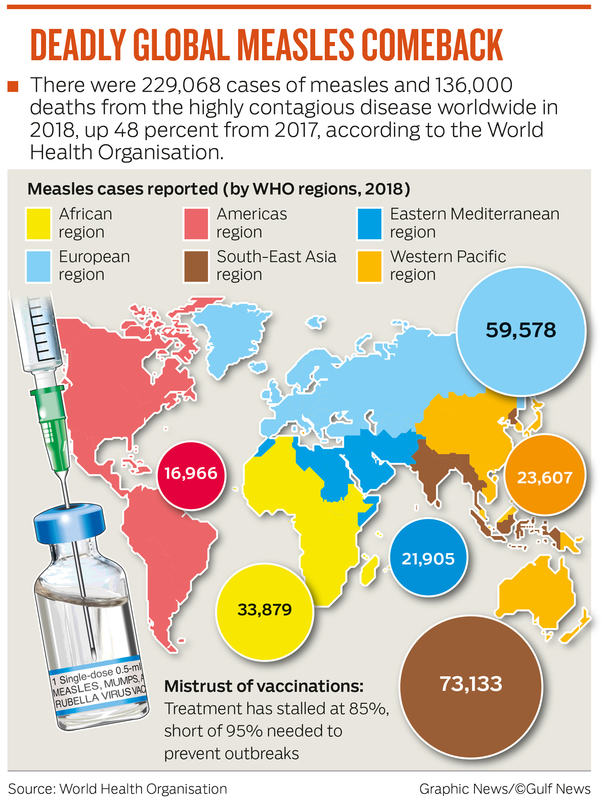 Across the country, there have been 465 measles cases since the start of 2019, with 78 new cases in the past week alone, the Centres for Disease Control and Prevention said Monday. In Rockland County, New York, a northern suburb of New York City, county health officials last month barred unvaccinated children from public places for 30 days. Last week, however, a judge ruled against the order, temporarily halting it. Despite the legal challenge to Rockland County’s efforts, de Blasio said the city had consulted its lawyers and felt confident it was within its power to mandate vaccinations. Dr. Paul Offit, a professor of paediatric infectious diseases at Children’s Hospital of Philadelphia, said there was precedent for de Blasio’s actions, pointing to a massive measles outbreak in Philadelphia in 1991. During that outbreak, officials in that city went even further, getting a court order to force parents to vaccinate their children. “Any mother that comes in and says that they don’t want to vaccinate, our providers will tell them please go find another health centre,” Schlesinger said. Just outside the public library where de Blasio held his news conference, some Hasidic mothers raised concerns about the emergency declaration. In nearby South Williamsburg, reaction to the emergency order was mixed. Some agreed with the need for vaccinations but did not believe the law should require them; others agreed with the mayor.